Six-year old Lexi was diagnosed with leukemia earlier this month. 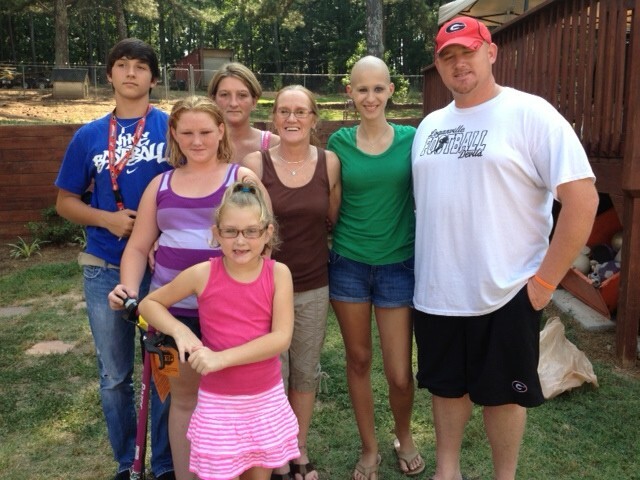 Her family is still adjusting to the shock of the diagnosis and its financial implications. 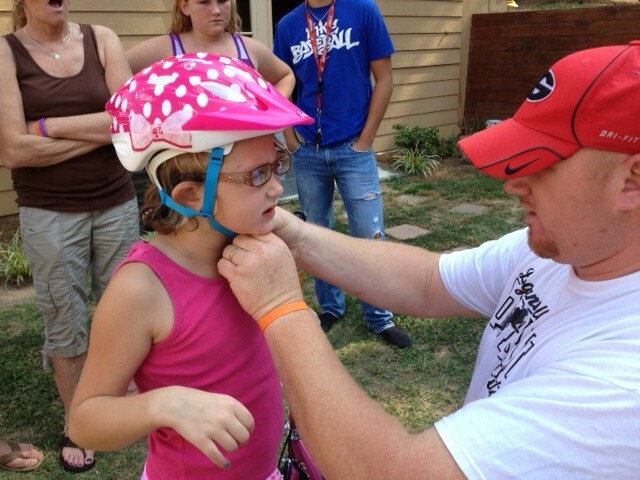 Lexi’s dad, Josh, is in the construction business, but hasn’t been able to work since Lexi got sick. Ironically, the last job Josh had was putting a new roof on Children’s Healthcare of Atlanta, the very same building where Lexi is now being treated. With all the new expenses, the last thing the family could afford to buy was what Lexi wanted the most – a motorized scooter, just like the one her friend had down the street. 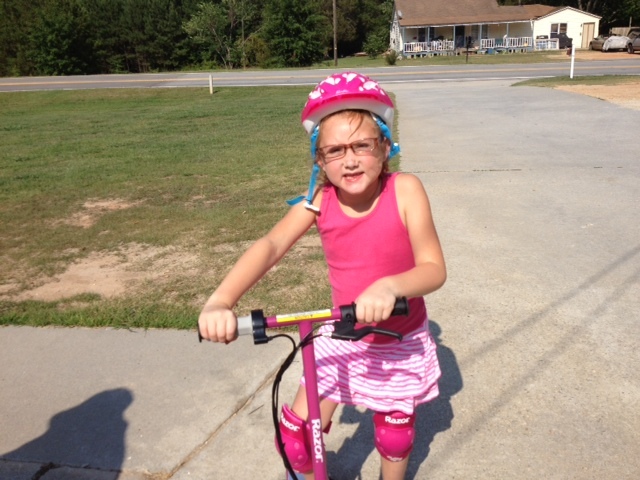 So using funds donated by people like you, Team Summer bought her a bright pink one – plus matching helmet and knee pads! Lemme tell you, this girl is a natural! She took off like a shot! And when she’s riding on the back of her scooter, she is not thinking about how yucky chemotherapy can be. 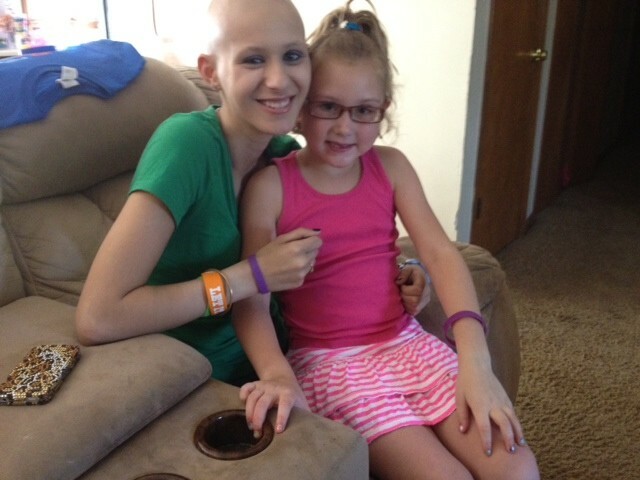 The family has already asked if they can sell Team Lexi bracelets for Team Summer! Half of what they raise will help them with Lexi’s medical expenses and the other half will come back to Team Summer to help other kids with cancer. We are rushing their order in Lexi’s favorite color – ORANGE! Soon you’ll be able to buy one right here at teamsummer.org! our prayers go out to you lexi.